With the growth in popularity of the nearby Urban Wilderness and the opening of Suttree Landing Park, the Sevier Avenue area is attracting businesses at a rapid pace. Uncle Lem’s Mercantile and Outdoor and South Landing CrossFit, located at 1020 Sevier Avenue are located very close to Three Bears Coffee and Alliance Brewing, making the spot one of the most rapidly developing in the area. The two businesses share a 6,000 square foot building and both represent an active lifestyle consistent with the concentration of canoeing, kayaking, hiking and biking in the area. Uncle Lem’s stocks all the equipment required for the lifestyle except the bikes. 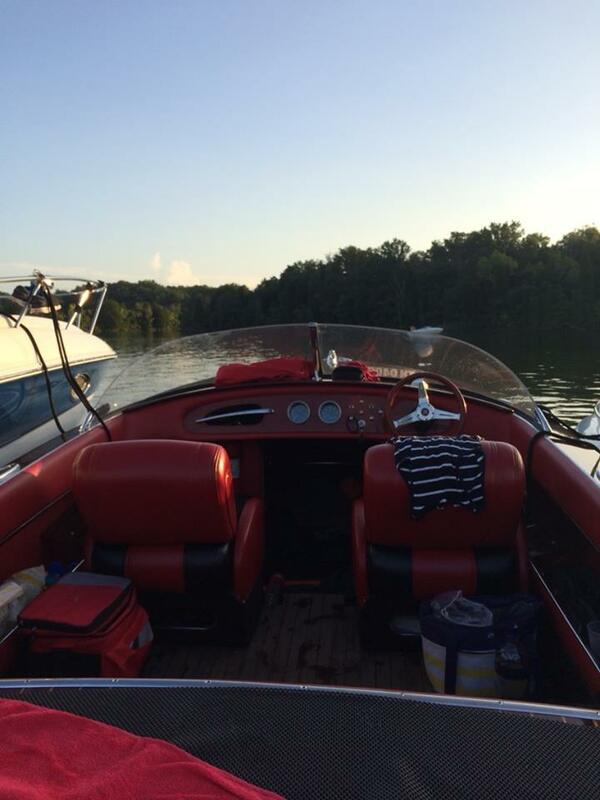 Situated on the South side of The Tennessee River just across from downtown, Suttree Landing Park showcases a festival lawn, children’s playground, an accessible boat dock, a put-in ramp, river overlooks and parking. Complementing the park is a new 2,988-foot-long two-lane tree-lined street, Waterfront Drive, which offers direct access to Suttree Landing Park. Click here for more information. Navitat-Knoxville’s tree-based zipline adventure park. Designed to thrill, educate and inspire, it has more than 60 adventure elements – from ziplines and bridges to swings, nets, elevated tunnels, and more! – the park is a treetop wonderland full of surprises. Experience Mead’s Quarry Lake-River Sports Outfitters rents canoes, paddleboards, and bicycles 7 days a week so you can enjoy the beauty of Mead’s Quarry Lake up close. Mead’s Quarry Lake also has a public swimming area and a beer garden. 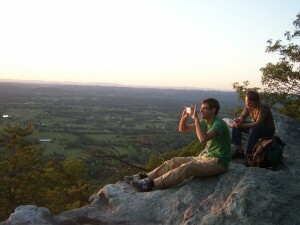 Hiking-Don’t feel like going all the way to The Great Smoky Mountains and fighting traffic? Ijams is a 300-acre urban greenspace featuring over 12 miles of natural surface trails plus a stretch of the Will Skelton Greenway. All of the trails are hiker friendly, although 9+ miles incorporating Mead’s Quarry and the Ross Marble Natural Area serve both hikers and mountain bikers. You can enjoy a day of hiking, come back to Marble Alley to freshen up and be enjoying a beverage on Market Square in no time! Ijams has many more things to offer-click here to see a full list. 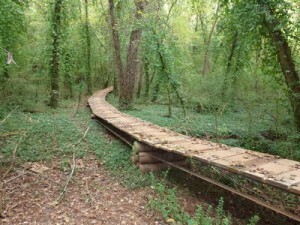 Just three miles from downtown, Knoxville’s Urban Wilderness presents a unique urban playground for hikers, mountain bikers and trail runners! The first phase of the project, the South Loop Trails, are on the east end of the Urban Wilderness offering 42-miles of natural surface trails that connect five parks, neighborhoods, schools, and natural areas creating an unparalleled outdoor venue! The main 12.5-mile South Loop connects Ijams Nature Center, Forks of the River Wildlife Management Area, Anderson School Trails, William Hastie Natural Area, and Marie Myers Park. The main loop offers easy to moderate trails for all users and the approximately 30 miles of secondary trails accommodate users from beginner to advanced on dozens of trails of varying terrain. Click here for more information and a map. 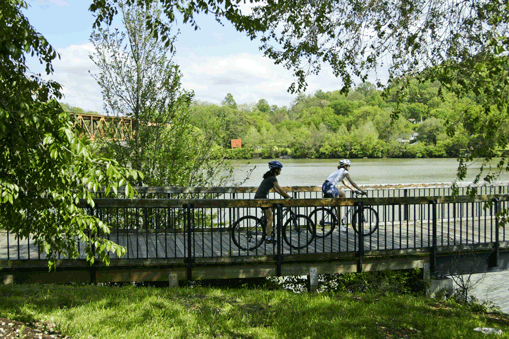 Knoxville boasts one of the most extensive systems of greenways in the Southeast with 86 miles of paved and unpaved greenway and natural trails. 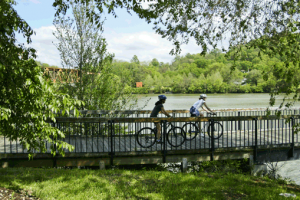 Knoxville greenways follow our natural land and water features, and link nature preserves, parks’ cultural features and historic sites with each other and with populated areas. Greenways link neighborhoods (including downtown) to these facilities and to other neighborhoods. Activities permitted on the greenways are: walking, running, bicycling, walking leashed dogs, skating, pushing strollers, using wheelchairs, and roller blading. Click here for more information and a complete map of Knoxville’s greenway system. Volunteer Landing runs parallel with Tennessee River to create a beautiful riverfront Park. Visitors to the Park can enjoy fishing, biking, and other water sports and activities. Volunteer Landing features a paved, handicapped accessible river walk along the Tennessee River waterfront, allowing visitors to enjoy the natural beauty of the area. The walk is part of Knoxville’s extensive greenway system that provides an east-west route that joggers, walkers or the casual stroller can enjoy while viewing the scenery and water features along the way. The Volunteer Landing play fountains consist of several interactive geysers for splashing and getting wet and three waterfalls for scenic beauty. There are picnic tables, a playground, a marina, a restaurant, and several nearby attractions to round out you fun day at the Landing. 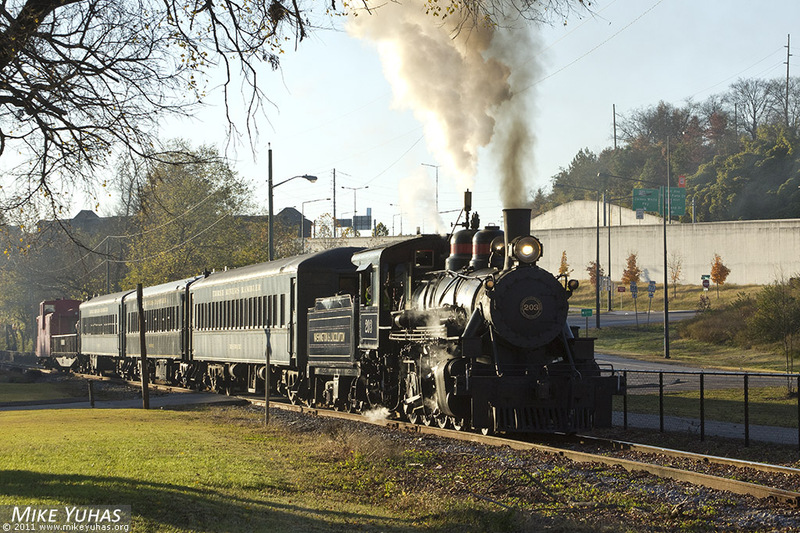 The Three Rivers Rambler excursion train is a fully restored vintage steam engine train that takes Guests on a beautiful 90-minute trip along the Tennessee River. 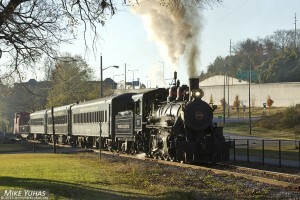 Beginning the journey at its very own train station near the University of Tennessee campus, the Rambler travels past historical sites to the “Three Rivers Trestle” where the French Broad and Holston Rivers join to form the Tennessee River. Along the route, the Three Rivers Rambler passes by beautiful farmland, Knoxville’s first settlement area, and several quarries that were mined to build our nation’s Capital. The uniformed conductor and volunteer staff are well-versed in the local history and welcome questions during the 11-mile trip. If you’re a train buff or you just want to experience the breathtaking natural beauty of East Tennessee the Three Rivers Rambler has something for everyone. The train only runs on Fridays and Saturdays and there is a charge for tickets. Click here for schedule and pricing. Only 30 minutes from downtown Knoxville, overlooks from the 2,100-foot crest of House Mountain scan the parallel ranges of the Unakas and Cumberlands some 30 miles away. The trails leading to Knox County’s highest point are fairly steep through heavily wooded terrain dotted with impressive rock outcrops. Knoxville is fortunate to have such a rare combination of scenic and ecological values near a metropolitan area. On the summit, the Crest Trail stretches the length of the mountain from the West End Overlook to the East Overlook offering exceptional views. The West End Overlook presents views of the Cumberland Mountains to the north, the Smoky Mountains to the south, and a glimpse of downtown Knoxville on the horizon. The views from the East End Overlook feature the Clinch Mountain range which runs northeast all the way into Southwest Virginia. The trails at House Mountain are suitable for walking, leashed dogs, running, and bicycling. Also, the park has some of the best bird watching and wildflower gazing in Knoxville. The park also provides picnic areas, covered shelters, and restrooms at no charge. Click here for a more in-depth look at this amazing treasure. 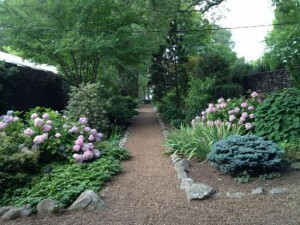 Knoxville is home to two of the most beautiful gardens in the southeast. First, there is the Knoxville Botanical Gardens The Knoxville Botanical Garden and Arboretum (KBGA) is located on 47 acres of former Howell Nurseries, featuring walking trails, display gardens, unique & historic horticulture and over two miles of distinctive stone walls and timeless buildings, just five minutes from downtown. Click here for more info. Then there are the University of Tennessee Trial Gardens The Gardens, function as an outdoor laboratory to evaluate the performance and landscape use of every type of plant, from trees and shrubs to annuals and perennials to ornamental grasses and aquatic plants. The gardens are planted to demonstrate each plants’ ideal use in the landscape. In this manner, visitors are not only able to see what plants thrive and flourish in the Tennessee climate but get ideas on garden design and how to use plants in their own landscapes and gardens as well. The Garden is open 7 days a week from sunrise to sunset. 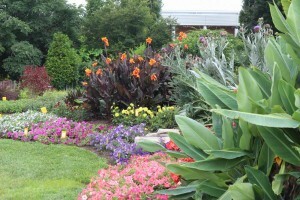 Admission is typically free to the public, although certain events may charge an entrance fee to enter the gardens. Click here for more information. Part of the TVA dam system, Fort Loudoun Lake is located at the headwaters of the Tennessee River near Knoxville and extends 55 miles upstream from the dam to the confluence of the Holston and French Broad Rivers. 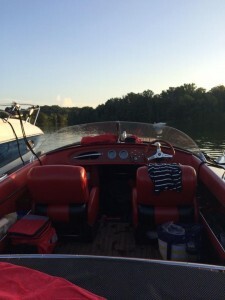 Fort Loudoun Lake features 379 miles of shoreline and 14,600 acres of water surface making it a popular recreational area for fishing, paddling, power boating, sail boating and birdwatching. More information on nearby lakes can be found here. A five minute drive from downtown, this Fazio (Shadow Creek, Pine Hill) and Oliphant(Willow Creek) designed and built course is one of the sharpest 18 Hole Par 3 layouts in the South. Surrounded by lush greenery and numerous water features, The Williams Wee Course is an urban oasis. 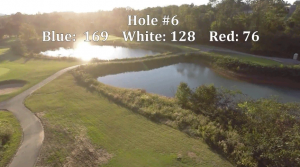 Click here for more information and a tour of all 18 holes. A historic Civil War site, The forts along this ridge were constructed to prevent the Confederates from bombarding Knoxville to drive out the Federals. 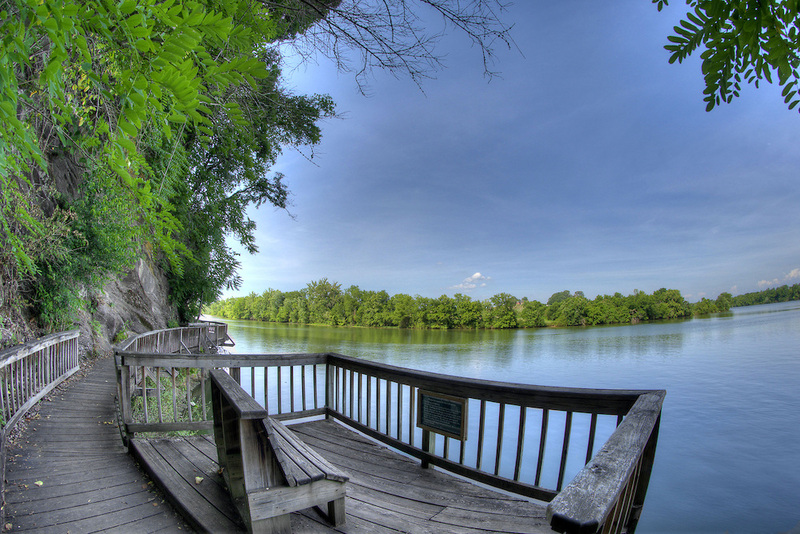 Just one mile from Downtown, Fort Dickerson features walking trails that connect to Knoxville’s extensive greenway system, a picnic pavilion and a former rock quarry that can be used for swimming. Click here for more information. Former home of the 1982 World’s Fair, The Park has acres of lawn, cascading waterfalls, placid streams, and many more gifts of natural beauty that create an inviting environment for festivals, performances, meetings, conferences, or a quiet moment for personal reflection. Just a 7 minute walk from Marble Alley The World’s Fair Park boasts interactive water features that draw both kids and adults, a natural amphitheater that is home to concerts during the summer, horticultural features, and nature areas. Click here for hours and a schedule of events. Sequoyah Hills is one of Knoxville’s oldest, and some would argue, most prestigious,Knoxville neighborhoods. 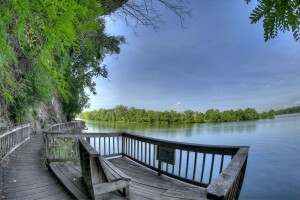 It sits in a bend in the river and is a large neighborhood known around town for its large, tree-lined main boulevard, gorgeous lake views, vintage homes, and awesome parks. The neighborhood is home to the 87 acre Sequoyah Park , which is so large it is broken into 3 separate parts, each with its own entrance. 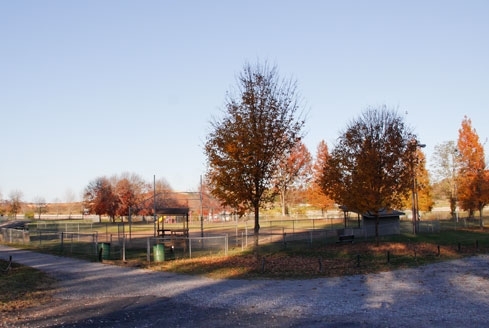 The various parts include picnic facilities, unpaved walking trails, water access, a playground, 3 softball/baseball fields, and lots and lots of green, open space to relax in and on. There is also a much smaller 1 acre park, Talahi Park, which has two shelters, benches and a fountain. In addition to its parks, Sequoyah Hills contains a 2.6 mile section of the Knoxville Greenway.